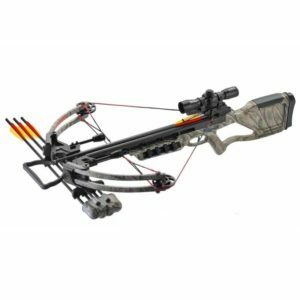 The 50LBS crossbow plastic body Man Kung MK-50A1/5pl is a plastic pistol crossbow with a draw weight of 50 lbs – pound. The 50LBS crossbow plastic body Man Kung MK-50A1/5pl is a plastic pistol crossbow with a draw weight of 50 lbs – pound. The crossbow can shoot crossbow bolts to a speed of 150 FPS – 165 kilometres per hour. The barrel and handle of this Man Kung crossbow pistol is made of strong high-quality plastic and provides low resistance and high efficiency. Cocking the Man Kung MK-50A1/5pl crossbow is very easy with the bracket on the rear of the crossbow. The trigger of the crossbow is equipped with a safety. The mini crossbow pistol is easy to operate, and the crossbow has very compact dimensions making this crossbow is easy to carry. The Man Kung is supplied with 5 crossbow arrows with, string, foot bracket , sight and on the box is a target to practice. 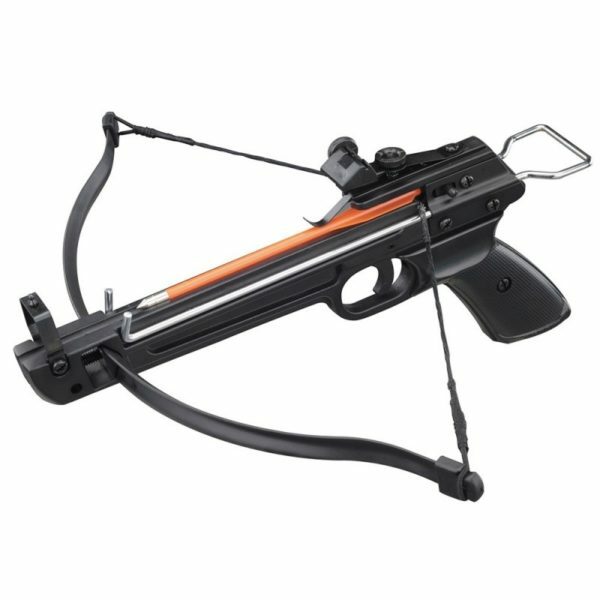 This mini crossbow pistol has an excellent price – performance ratio and is the cheapest crossbow you can get. • Arrow speed : 150 FPS – 165 kilometres per hour.